This will be a six-month blog series about my pursuit to become a top level A grade cyclist. I currently ride B grade in Cycling Victoria’s Road Series and also at local criterium level at Sandown and Glenvale (Carnegie Caulfield Cycling Club) and Port Melbourne (St Kilda Cycling Club). As of three months ago I am being professionally trained by a cycle coaching company, while also receiving health and nutritional advice from an industry expert. Consequently, I’m putting more effort into improving my cycling than ever before. I plan to share my story in a way that is relevant to cyclists of all levels so whether you’re a recreational cyclist, a D grader criterium rider or an A grade road cyclist you will hopefully be able to find inspiration in this blog series. As well-versed people in all traits of cycling currently surround me, there are going to be plenty of gold nuggets to show and tell. 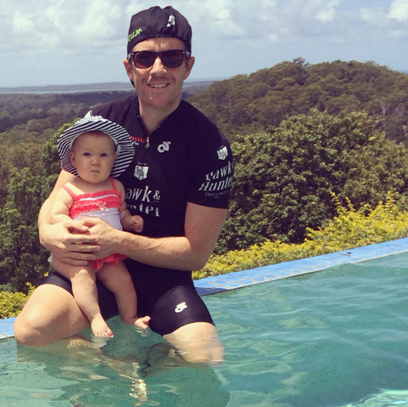 I’m 33, a father of two young girls (a three-year-old and a one-year-old), married to a Holistic Health Coach (Alice Nicholls), I work for a US software company, and I’m one of the founding members of Bike Chaser. But most relevant, I’m a super keen cyclist who is looking to improve. I’ve been into cycling for about five years and my passion has certainly progressed year after year. Most recently, one of my closest friends decided to create an official amateur cycling team, Inform Racing. 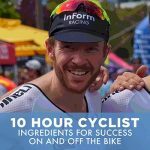 He has worked tirelessly over a six-month period in order to organise funding, coaching, team sponsors, and perhaps most importantly, ten likeminded cyclists of a similar level who all have the same common goals: train hard, race hard, and have some fun while doing it. There’s a lot to cycling as we all know – equipment, training, tactics, nutrition, recovery; the list goes on. 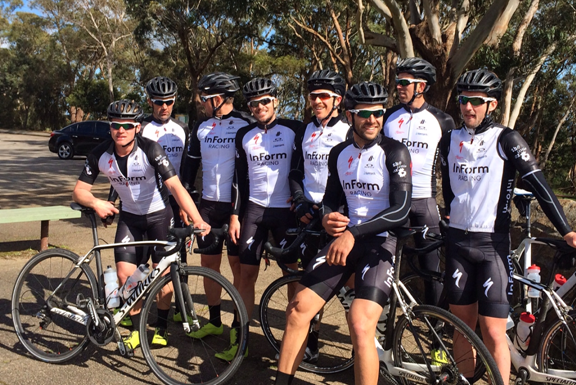 The Inform Racing team has been official for one month now and the cycling beast has started to consume my life. 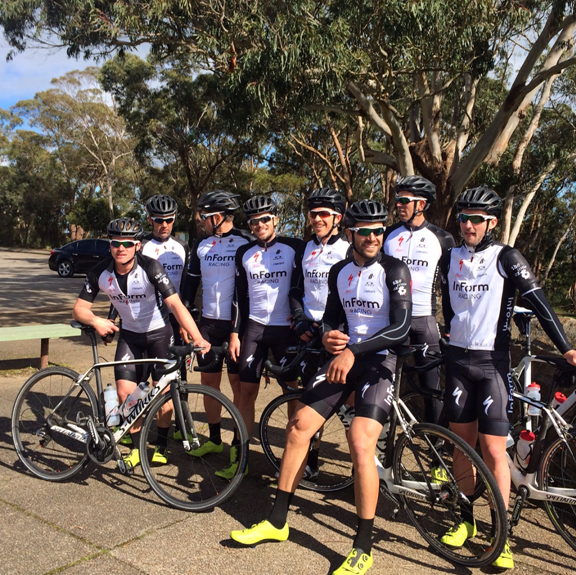 Recently we competed in our first race for the criterium season at Glenvale with Carnegie Caulfield Cycling Club. From a personal perspective, not only did I feel stronger than I’ve ever felt before in a race, but I finished second in a photo finish, about a rim length away from taking out first place. The level of improvement the team and I have gone through after just one month together has truly astounded me and proved to me how valuable professional coaching and nutritional advice can be. I hope you will enjoy the upcoming articles and that the knowledge and experiences I share may assist you on your own journey. Join the Bike Chaser Community for more!